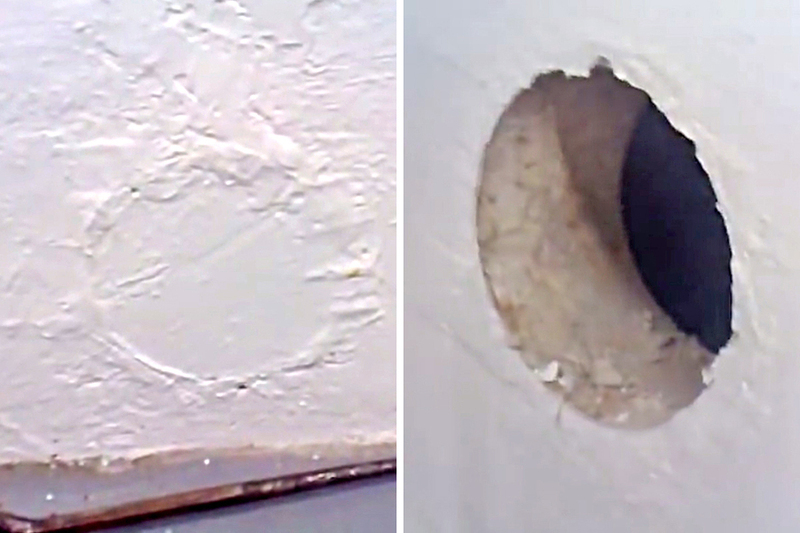 In 2011, a man who owned a storage unit decided to drill a hole in the wall of the structure after noticing something unusual. During the process, he posted a video of the project on YouTube under the name “cyrex686.” The YouTuber had discovered two odd-looking round things on his wall and wanted to investigate. He explained, “I, er, noticed that there were these things down here… circular, whatever.” He proceeded to hammer on one of them, and it sounded hollow. So he decided to drill a hole in it. He discovered something quite strange when he took out the drill and started the process.